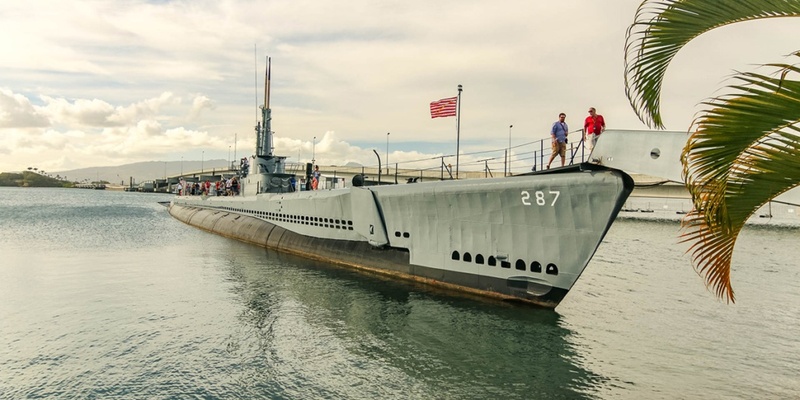 This is the most popular, least expensive tour to Pearl Harbor. 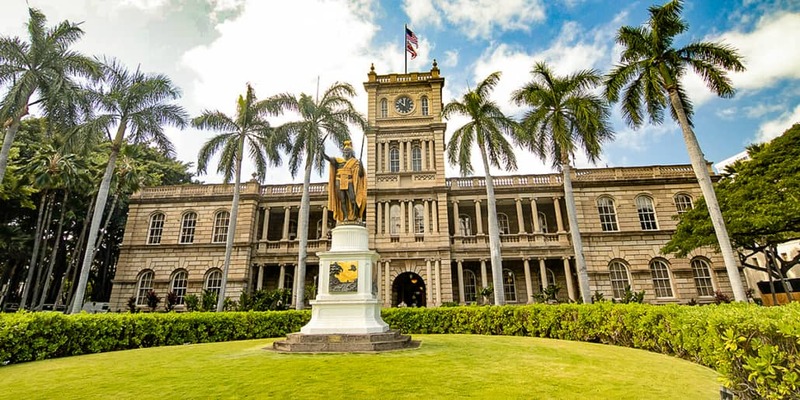 Come see why this is the most popular tour in Hawaii! 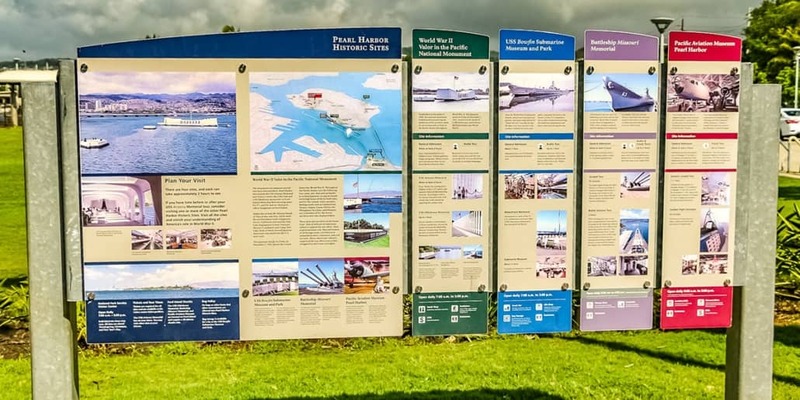 To make the most of your visit we recommend a guided tour. 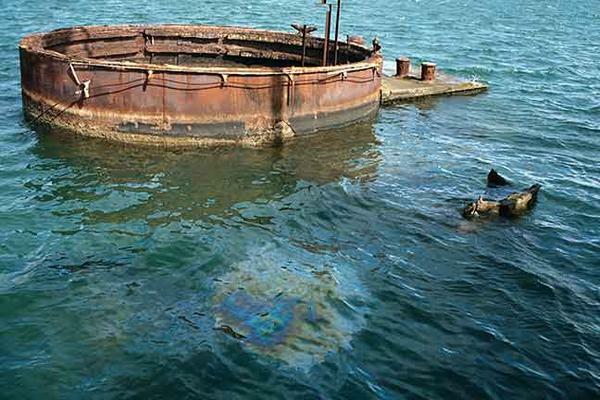 The USS Arizona Memorial at Pearl Harbor is “ground zero” where World War II began for the United States. We recommend this tour for the entire family. 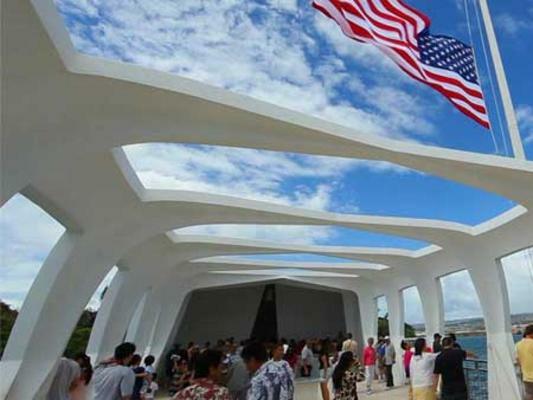 You will learn much and appreciate the sacrifice made that early Sunday morning, December 7, 1941. 2 departure times to choose from. 6:30 AM to 11:00 AM / 9:00 AM to 1:45 PM. Please note these are approximate times, actual pick up times will be noted on your booking itinerary. Available: 7 days a week. Closed on Thanksgiving, Christmas, and New Years Day. 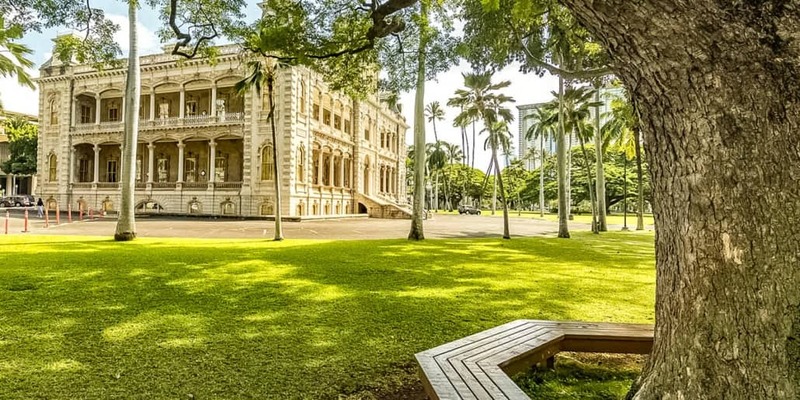 No meals are included on this tour, however snacks (chips, soda, water bottles, sandwiches, cookies) can be purchased at the snack shop at Pearl Harbor. 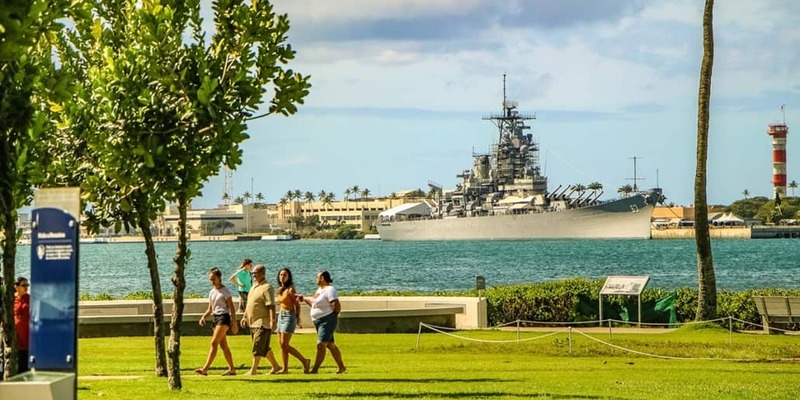 Strollers allowed in park visitor center, but not in theaters or on Navy Launch to the Arizona Memorial. Large items, handbags, video camera bags, etc. not permitted. 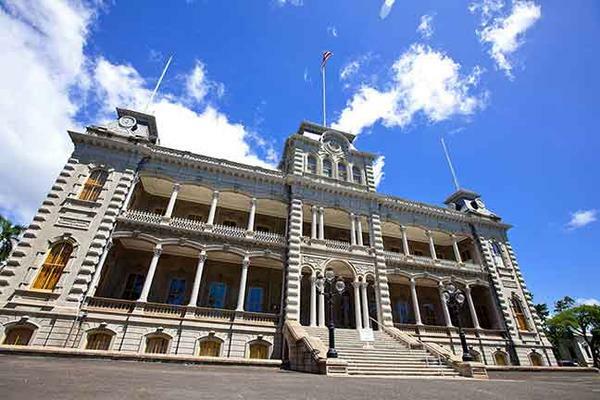 Storage lockers available for rental at Pearl Harbor. Please be aware that you are visiting a site of tremendous loss of life in service to the United States. Sandals are permissible, but swimwear and profane t-shirts are discouraged. 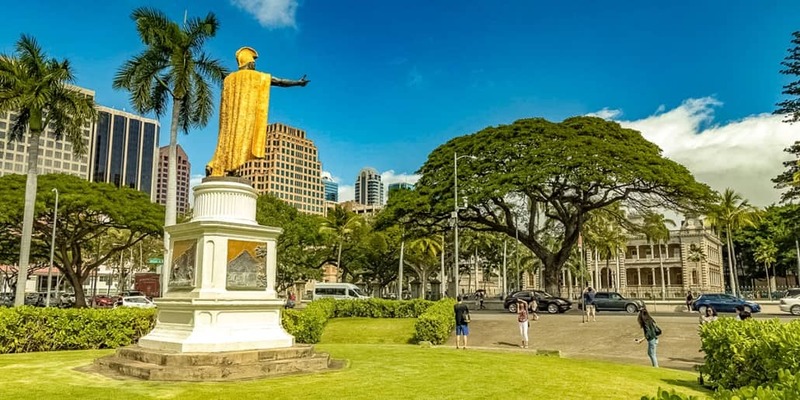 The Pearl Harbor and Honolulu City Tour is the most popular tour that we offer (and not just because it’s the least expensive!). 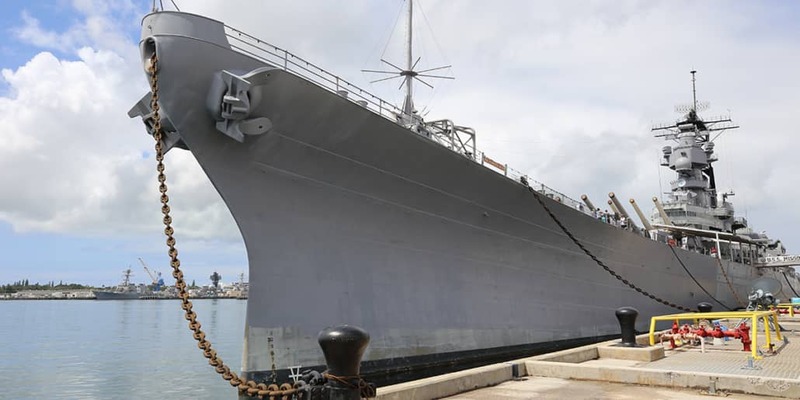 This somber, but inspiring tour of historic Pearl Harbor, outlines the attack on December 7th, 1941 which led the United States into World War II and remembers the hundreds of lives that were lost that day. 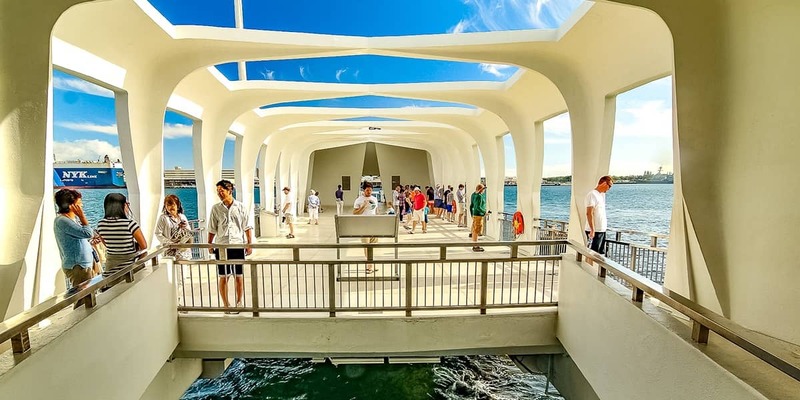 Our tour guides ensure visitors make the most of their tour from the Visitor Center to the USS Arizona Memorial in Oahu.